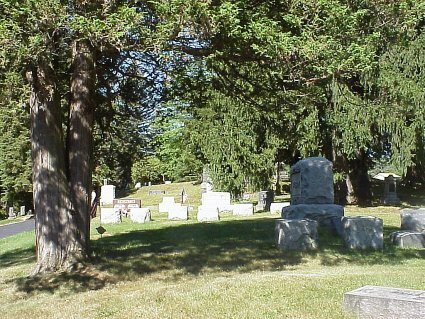 The following list is part of the Tioga County Cemetery Inscriptions– Volume 6. The cemetery was read in the 1970s by Rhoda ENGLISH Ladd and her husband William LADD and Mildred and Victor TINKHAM. RePrinted by permission of Rhoda ENGLISH Ladd It was retyped 1997 by Carol Banducci. Ferry * There is an old marker here that looks like a C.S.A. and flag- Confederate Soldier of America- ?whose was it? Field Delos Mar. 7, 1838 Oct. 24, 1876 Co. A. 187th. Regt. Pa. Vol. Francis Sarah Nov. 26, 1817 55y 8m 1d wife of Robert * note these dates are on Cemetery list, but I think there must be a typo somewhere. Fuller Eva Mae 1920 1953 2nd Lt. A.N?C. You are the visitor since the counter was installed on December 8, 1997.